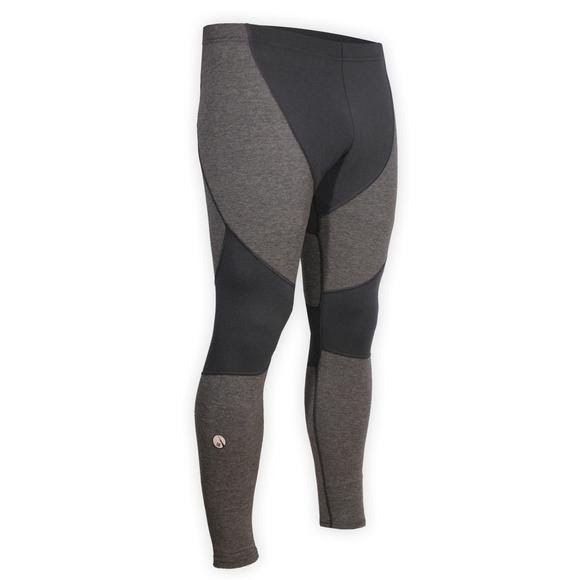 Hot Chillys erino Wool Stretch Midweight Ankle Tight is combined with Merino Wool with MTF fibers and spandex to create a base layer collection that is warm, comfortable and moves with you. The natural Merino Wool yarn is inherently thermal retentive. It traps air in its fibers, keeping insulating warm air close to the body. Hot Chillys erino Wool Stretch Midweight Ankle Tight is combined with Merino Wool with MTF fibers and spandex to create a base layer collection that is warm, comfortable and moves with you. The natural Merino Wool yarn is inherently thermal retentive. It traps air in its fibers, keeping insulating warm air close to the body. The natural wicking properties of wool are enhanced with our MTF fibers so moisture is rapidly transported. Merino has all the insulating and water resistant qualitites of a classic wool as well as being extremely soft and comfortable against the skin.